The TopicBar control represents a collection of links or commands organized into various groups, mimicking the navigation bar seen in Windows XP. Generate a highly navigational form with collapsible/expandable lists using the TopicBar control. This powerful control also offers the ability for you to use animation — like smooth transitions — when collapsing/expanding pages. 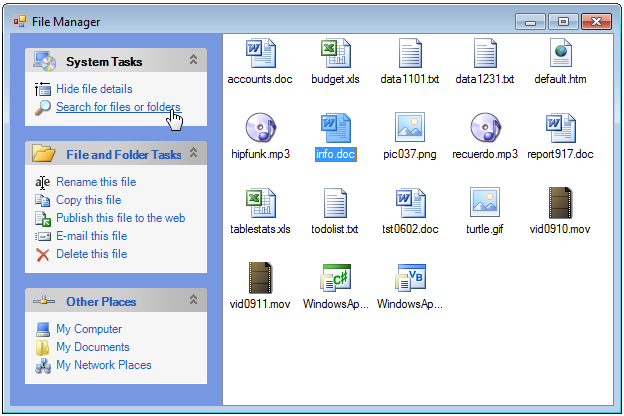 TopicBar provides 12 built-in visual styles like the Office 2013 color schemes and a Windows XP look and feel. 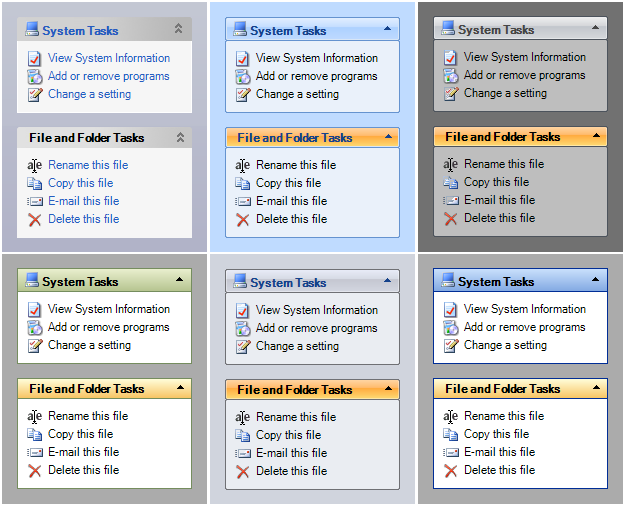 TopicBar for WinForms features extensive design-time support, including ComponentOne SmartDesigner® technology. Activate the context-sensitive toolbars with one mouse click, and make changes right on the design surface. 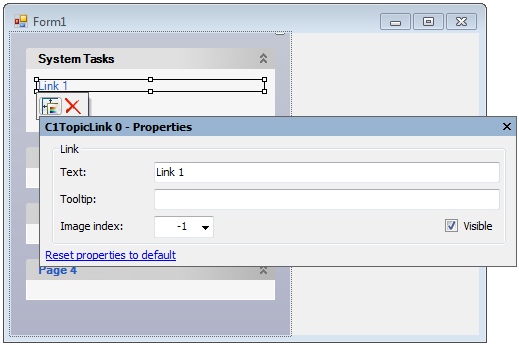 The topic bar has a TooltipText property for you to create a user-friendly application. For example, you can add tooltips to each topic to provide more information to the user about that group. TopicBar supports Right-to-Left (RTL) layout for Arabic and Hebrew cultures. Just set the RightToLeft property to Yes.